We often hear of work life balance, but how do we achieve it? Bridging the gap between work, family, relaxation and social time is a challenge in our busy world, but it’s crucial to quality of life. According to Small Business Trends, “66 percent of full-time employees say they don’t strongly believe they have a work-life balance,” which is a huge figure. It’s important that we take the time to find a balance for better health and happiness. 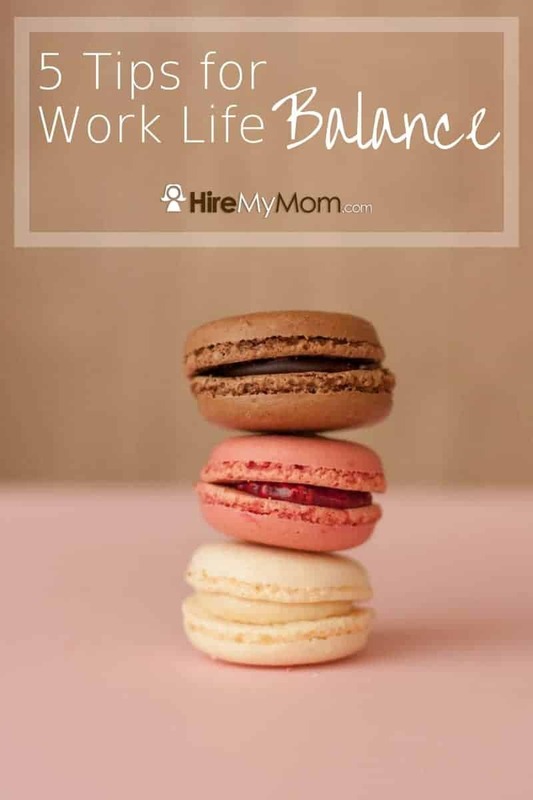 The first step to work life balance is establishing what that looks like for you, along with what’s important in your life. If you say it’s family but spend all your time working, it’s time to reevaluate your priorities. If you’re truly in a time period when getting ahead at work is crucial, you may have less time for family and friends. Finding a balance starts with what’s ideal for you. Is it important for you to have a few hours at night to do nothing? Do you need to be done working at a certain time to get to your child’s game? Lay out a perfect week that allows you to include those things that are non-negotiable. For work life balance to be successful, you must manage your time! It’s easy to get distracted during work and outside of work, and that cuts down on the time you have left for you. Break down your work tasks by time, and always leave room for breaks and downtime. When you know where your time is going, you’re better able to re-adjust as needed. Take inventory of where your time is spent, and take steps to rearrange some things if needed. So you don’t always feel like you’re in work mode, staying social is key! Make time for your friends and family, even if work is your current priority. You can still take some time out of your days or weeks to see friends and family. This is a great way to recharge your batteries, see where your priorities lie, and strengthen relationships. It’s almost always known that we feel better after interacting with those we love! Make time for this – work will be there when you return. When you get time away from work, you come back more refreshed and ready to do a better job. Especially on weekends, it’s important to turn off electronics! Weekends should mostly be reserved for fun, relaxation, and recharging. Your phone and computer can be used personally, but try not to get too involved with anything with work. It’s important for the brain to shut down for a while and not focus on work. It gets tiring for your brain and body to look at a screen constantly, and you seriously blur the lines between work and play when you end up working all weekend, even if it’s just through your computer. Do your best to make weekends work technology free! Again, you’ll come back feeling ready to tackle your tasks on Monday if you didn’t spend the whole weekend working. Downtime is so important! Doing fun things with your friends and family is also crucial and valid, but spending time relaxing is very important to quality of life. Whether you enjoy spa days, a leisurely walk, or just some time lounging by a pool, it’s important to have downtime where nothing is on the agenda. We live in a very structured, scheduled world, and while that’s great for productivity, or figuring out where your time is, eventually you have to shut that off for a while. You can even look at your schedule early in the week and ensure that you’ve carved out some time to do absolutely nothing!